Enhancing business operations often translates to high profits in some way or another. Either you cut costs or generate business through such choices. And interestingly enough, a SIP phone service is another way to enhance your business operations, particularly your business telephone communications. Let’s look at how a SIP phone service can do all of those things. A SIP phone service does more than handle incoming and outgoing calls and messages. It is more than just an alternative to traditional, landline phone systems and services. The best options include data and cloud based services or software that can allow users to do conference calls, manage their email, conduct research and perform standard office procedures such as sending faxes and managing their messages. This means that every moment they utilize the system is far more effective or efficient than when the use of the phone was limited to making or receiving audio calls. Additionally, the way that a SIP phone service functions means that all of these capabilities are available from anywhere. Employees don’t have to be in the office to use the system and can even engage via a mobile phone if needed. Rather than installing and managing miles of physical phone lines, junctions and all the rest, the SIP system requires only a single device and a business strength router. There is no need for incoming phone lines and service contracts, no upkeep or maintenance, no IT specialists, no monthly phone bills with long-distance charges, and no costs associated with repairs or technical glitches. 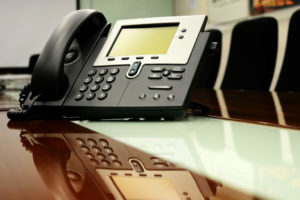 Instead, the business pays for its channels, increasing or reducing that number as needed, the initial purchase of the VoIP hardware and their monthly internet connection (and bandwidth if that applies). Internet phone communications are often more stable than mobile or land-line based communications. There will never be any instances of your “phone lines being down” because that is not how your system is structured or designed. It is based on internet function, and the best providers are able to reroute services or forward to mobile phones if there are technical issues or problems. With SIP services, you will see your business communications greatly enhanced and your bottom line will begin to show the long-term impact of such a decision. If you want to know more about this technology, SIP.US can discuss your needs and the right solutions.